Spring 2011: The Lower Susquehanna Riverkeeper (LSR) and Stewards of the Lower Susquehanna (SOLS) continue participation in the second year of a five year process concerning licensure renewal for the Conowingo Dam and Muddy Run Pump Storage facility. These facilities’ licenses will expire in August 2014, thus the current 5-year re-licensing process. Our primary concerns in this process remain focused on the threat posed by sediment retention in the Conowingo Pool, as well as the impacts to migratory fish like the American Eel and American Shad. This dam stores some 200 million tons of sediment, with approximately 40 million tons or 12-20 years of storage capacity remaining. In a normal year, the Susquehanna transports ~3 million tons of sediment down the river, ~2 million of which is trapped behind the Conowingo Dam. Once the Conowingo Pool has filled up to its holding capacity there will be a 250% increase in sediment loading to the Bay. While the Pennsylvania Fish & Boat Commission (PFBC) and other state and federal agencies are appropriately focusing on impacts to fish species caused by these facilities, no other nonprofit organization is specifically committed to remediating the pressing threat posed by dam sediment retention. During the last slew of Exelon’s (the dam owner/operator) study reports, the Lower Susquehanna RIVERKEEPER® discovered blatant oversights and failures to adequately perform fish and sediment studies. For example, studies designed to show the effectiveness of American Shad and American Eel up and downstream passage were submitted in an incomplete form. Major issues such as fish entrainment in turbines, cumulative analyses of fish/eel lift passage effectiveness, projected water quality impacts from sediment deposition, or complete bathymetry reports of the Conowingo pool were largely ignored. It is vital that these issues are fully studied, understood, and proper planning accounting for mitigation implemented, so that the renewed license for Conowingo reflects best management practices protecting water quality and designated uses. 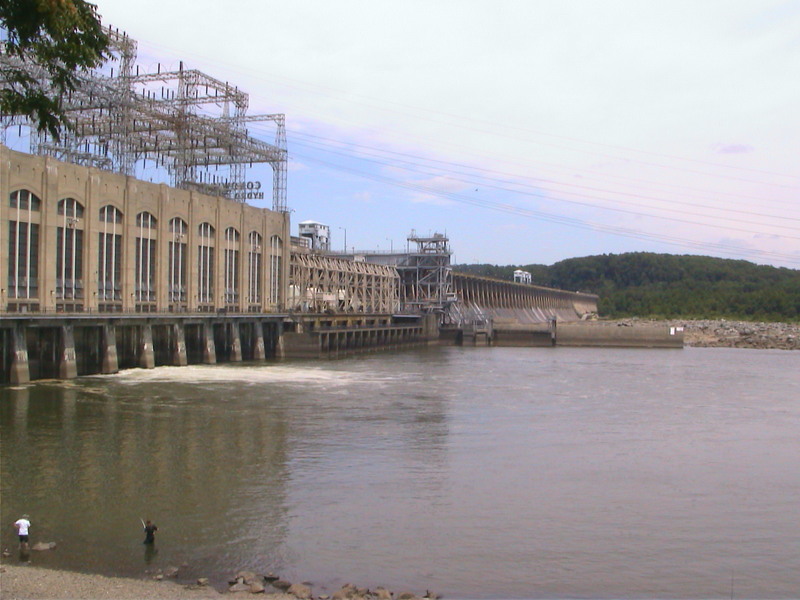 FERC’s approval of the final permit is subject to review for procedural adequacy under the National Environmental Policy Act, and the State of Maryland possesses ‘veto’ power to ultimate operation if it determines that the Conowingo project does not adequately address environmental concerns during Section 401 Certification under the Clean Water Act. Check out our Susquehanna Sediment Video for an overview of Conowingo Dam & sediment build-up. Due to the unfavorable climate for funding studies on sediment deposition and removal, SOLS and the LSR are examining the most practicable solution to the build-up of sediment: dredging. Performed correctly, it is economically feasible to dredge half of the incoming sediment, or 1 million tons of sediment, and process it for beneficial use as light-weight aggregate. This type of operation can actually make money for the taxpayer long-term, as well as provide a sustainable source of business products and revenue for local industry. HarborRock, a company with proven techniques for creating beneficially reusable products in the form of valuable light-weight aggregate, is working with the LSR and SOLS on the feasibility of a dredging product at Conowingo Pool. HarborRock is currently in its final testing phase with the Maryland Port Administration to build a processing facility near Cox Creek, MD. That permitting process is expected to take an additional two and a half years, with facility construction expected to begin in 2014. The proposed facility at Cox Creek can process about half a million tons per year, and therefore acts as an excellent model for a like operation at Conowingo Pool. We’ve contacted potential buyers and found a demand for at least 1 million tons of sediment annually, equaling roughly 600,000 tons of light-weight aggregate. A HarborRock facility would bring approximately $5 million annually in economic development with at least 60 permanent jobs. With government start-up funding for facility construction the realized cost will be a one-time expense of $130 million. Product sales will create a profit of approximately $8 million per year. This means the bond issuance or other funding mechanism would be paid off in 17 years, with a profit of $8 million annually to be used for other beneficial environmental programs after the 17 years. This is a true win-win, but will not happen without the continuing aggressive efforts of the Lower Susquehanna Riverkeeper® and Stewards of the Lower Susquehanna, Inc. The Chesapeake Bay Program, Susquehanna River Basin Commission, U.S. Geological Survey and university scientists all agree that retained sediment behind the Conowingo dam poses an imminent and substantial threat to the Chesapeake Bay. At current loading rates Conowingo’s retention capacity will be exhausted in as few as 12, or at the most, 27 years. Implementing solutions could easily take 10 years or more. As the dam re-licensing process continues, we will continue to push for science-based, comprehensive studies and solutions to both sediment and fish viability in the Susquehanna and Chesapeake Watersheds. In Fall 2011 a new effort among federal and state agencies and leading NGOs ramped up to once again study and comprehensively grasp the problem and solutions to Susquehanna Dam sediment retention. While we hope that our concerns will be recognized and appropriately studied, we are prepared to mount legal challenges to uninformed and arbitrary decision-making in the hydroelectric relicensing process that puts at risk the ecological integrity of the Susquehanna River, the Chesapeake Bay, and the livelihoods of millions of citizens. November 2007: Congressmen Gilchrest and Platts began talks with SRBC, EPA, the Chesapeake Bay Program, and the Northeast Midwest Institute to determine how we can address this single biggest threat to the Chesapeake Bay. These same agencies have encouraged SOLS to continue our leadership on this issue, and to increase our public education efforts. To this end, we’ve created a two-page summary to be shared with politicians and other members of the environmental community or academia, and a condensed single page fact sheet for the public. We hope to educate the public and our decision makers on this dangerous situation on the Lower Susquehanna, a situation that some have compared to the failure of government to act on the New Orleans levees before Katrina. June 2007: On June 13, we spoke at SRBC’s quarterly meeting where a brief presentation was given of sediment issues. One of the biggest problems is finding a transportation mechanism and disposal destination for the materials. October 2006: Conowingo Dam Sediment Science Meeting. Bob Gallagher, West and Rhode Riverkeeper®, Fred Tutman, Patuxent Riverkeeper®, and Fred Kelly, Severn Riverkeeper®, came up to join Michael Helfrich, Lower Susquehanna RIVERKEEPER® at Port Deposit, MD. Along with the 4 Riverkeepers, Kevin Luebke, Army Corps of Engineers (ACE) Ecologist, Mike Langland, USGS Geologist, Rupert Rossetti, retired Geologist, and Sandy Cope, Chemist were present. Rupert and Sandy work with a local Land Trust and the Upper Western Shore Trib Team in MD. All recognize the serious threat to the Bay and are committed to finding a solution.